KIDS Ministry was all set this summer as it held its annual three-day Vacation Bible Camp (VBC) last May 30 – June 1 at Every Nation Building. 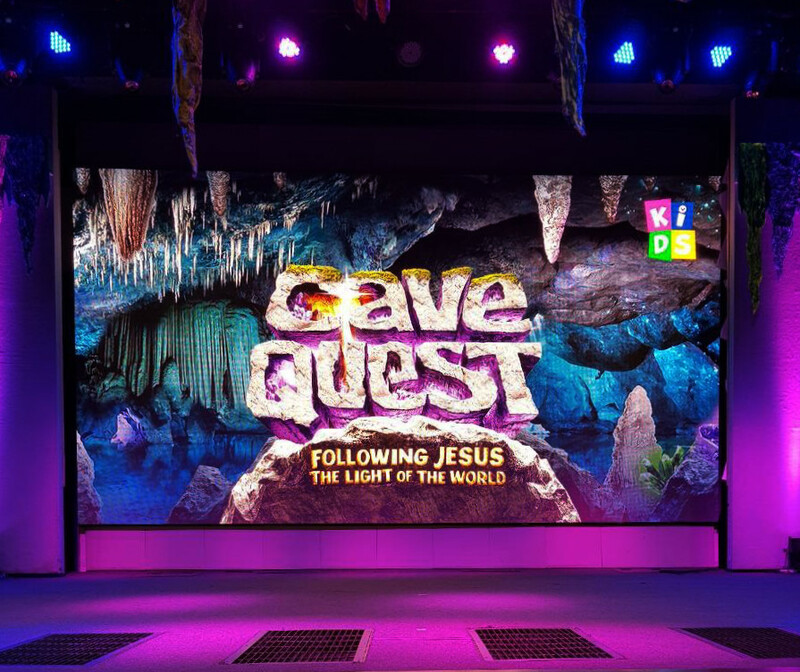 Rooms were geared up for this year’s theme, Cave Quest: Following Jesus, the Light of the World, where kids had had the opportunity of exploring while learning what it means to walk with Jesus. 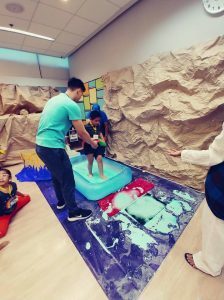 Vacation Bible Camp created an opportunity for kids aged four to eight years to discover something new about themselves. It was an avenue for them to get to know God, and to deepen their relationship with Him, and with others. KIDS Ministry prepared interactive games, and lessons that foster good values, and godly characters through stories from the Bible. Activities like praise and dance, kinesthetic, craft-making, food-crafting, and storytelling were integrated to make lessons easier and fun to understand. Day 1: Kids learned how to walk in faith; fear evaporates because God is with them. Day 2: The love of God can be demonstrated by loving others. Kids get to take home what they learned by showing simple acts of love to their family. Day 3: Parents get to see their children in action during the culminating activity. Kids apply what they learned after the camp. What makes Vacation Bible Camp different from other camps? VBC still adapts the Kids Ministry setting when it comes to teaching. But for this season, the team took it up a notch by applying an experiential approach to the activities. 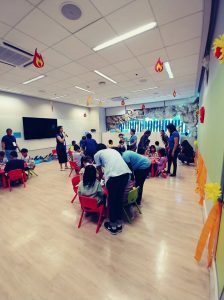 According to Adrian Bicomong, Kids Ministry Head, the team was comprised of highly empowered volunteers who helped organize, prepare, and execute the lesson plan. They did it all to serve God. As KIDS Ministry wraps up this season’s summer camps, parents are excited to see personal growth and application in their home. As young as they are, they know what it means to follow Jesus. Even small things can make a big difference. And because of its impact on both parents and kids, families are already looking forward to next year’s events. Adding to the roster of camp activities — Boot Camp, Me and My Dad Camp, and Vacation Bible Camp — Kids Ministry is already making preparations for Family Camp in 2019. Fun, and learning continue even after summer camps. We invite you to bring your kids to Kids Ministry every weekend. They can interact with other kids, be involved in discipleship, and go deeper into the Word. Kids Ministry services run simultaneously with all adult services except for the 8 pm service at Every Nation Building 2. Hi, good day! I just want to know the schedule for this year’s me and my dad camp, vbc and boot camp as my daughters are there in the phils now and me and my husband are planning to go for vacation as we are ofw and we want to register our kids and plan our vacation as well… thanks in advance for your reply looking forward to the schedules.